Situated next to the ocean, The Edge welcomes diners into its contemporary and open spaces designed to showcase unblocked views of its picturesque surroundings. 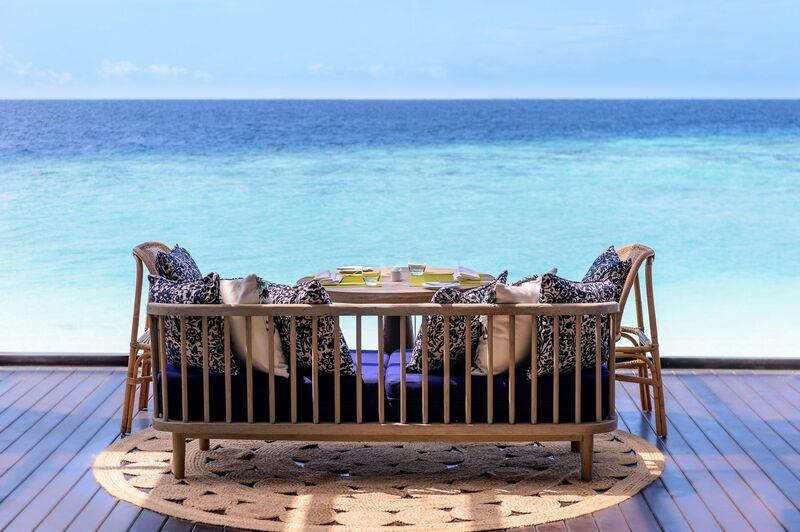 Maldivian influences are reflected in the pinewood timbre flooring, roof and ceiling features and extended to the furniture and décor items created by local craftsmen. A variety of seating from cosy indoor lounge seating to overwater private pods is available, ideal for group mingling or romantic dinners.